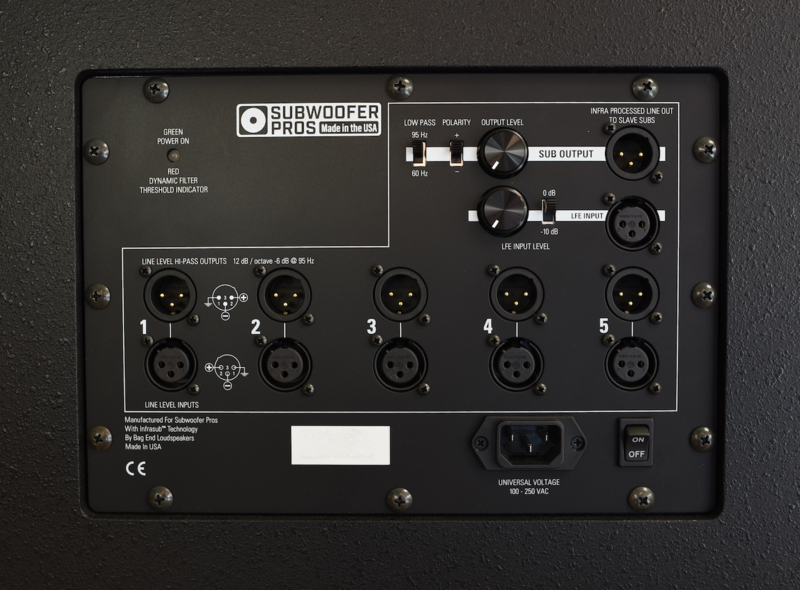 Subwoofer Pros’ Studio Subs are a unique design that can enhance low frequency performance to ANY analog monitoring system. A Studio Sub 18 offers linear and accurate low frequency reproduction plus very low distortion all the way down to 8Hz! Sub Pros subs feature a front firing sealed cabinet design, an integrated 700w amplifier, and dynamic analog signal processing that extends response lower than traditional subs-without peaks from ports or passive radiators. What makes Subwoofer Pros different? Most pro sub manufacturers create subwoofers that are designed to work with a specific model or series of “main” speakers or satellites, with internal EQ or DSP processing making them unsuitable for other loudspeakers. 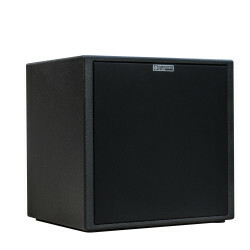 Subwoofer Pros’ subs are designed to be universal subs, tuned for accurate and even low frequency response below 100Hz. Our Studio Subs are optimized to be blended with mains, meaning they are best used with a full range feed to both the mains and subs. The built in switchable low pass restricts its operation from 95Hz or 60Hz down to 8hz, using a 12dB per octave LP filter. A fixed 95Hz built-in high pass filter for mains output is available with up to 5 distinct mains outputs on the input/output panel. This 95Hz high pass is ideally suited to smaller nearfield monitors common in 5.1 rigs, or speakers that will perform at higher SPL’s with some low pass filtering. How the user sets up a sub determines whether the sub + mains act like one system or two. 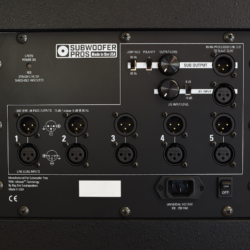 The entire Subwoofer Pros control panel is optimized to deliver a successful subwoofer/main integration process, because most sub /main combination systems are never set up optimally. The complex and confusing control set of most subs is not well understood by most users. By keeping variables to a minimum, we also keep mistakes in set up to minimum. The Studio Sub series focuses on the frequency range of 95Hz to 8Hz only, as this is the area most likely to need support. Most other subs go down to 32Hz at best and typically use ports or bass reflex designs to achieve this, producing distortion via these ports as listening levels increase. 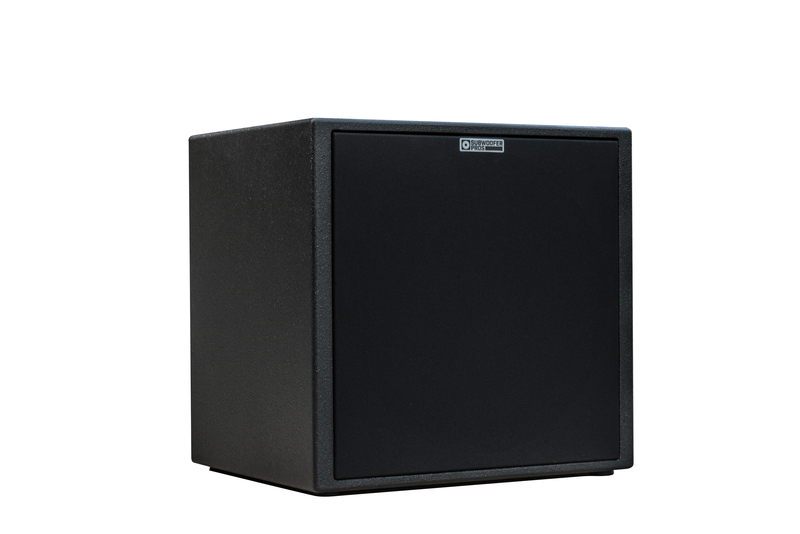 The built-in Subwoofer Pros dynamic electronics provide uniform response at every frequency, regardless of level. Reproducing fast and tight bass, each note with the same emphasis, is a unique experience Subwoofer Pros delivers. With a scalable approach, we offer slave models that follow the main sub set up and can be daisy chained. Using slaves, any SPL level of low end can be achieved. Subwoofer Pros subs are 100% made in USA, with USA sourced parts, for ultimate quality and reliability even in extended listening sessions at high SPL. A single Studio Sub 12 will pair nicely with smaller nearfield/meter bridge style monitors while the Studio Sub 18 pairs well with larger mid/far field monitors. Both the 12” and 18” sound very similar with the main difference being max SPL output. A single Studio Sub 12 offers up to 108dB SPL max at 1 meter at 40Hz; our single Studio Sub 18 offers 114dB SPL max at 1 meter at 40Hz. While it is recommended to run your mains in full range and blend in the sub, there may be cases where the built-in high-pass filter is needed. When a user experiences breakup due to low frequency content in their mains, this is potential situation for introducing a high pass filter in the mains. This applies mostly to those using smaller near-fields and needing bass heavy music/content at higher SPL’s. By using the high-pass filter you can remove the overloading LF content, allowing more headroom to turn up your mains. 5 input/output channels of analog bass management on board with a high-pass filter at 95Hz. One can use any or all of the 5 channels of bass management as primary inputs. Switchable 60/95Hz low-pass, for adjustment depending on type of mains being used. Studio Subs can be scaled in multiples to fit any SPL need or improve room behavior. With a unique Slave output, dedicated Slave Subs can be daisy chained to create a larger system. Every time you double the amount of subs, you can get up to an additional 6 dB SPL. All settings on the “main” sub will automatically apply to all connected Slave subs. ***NOTE: As of November 2018, Studio Sub 12’s with serial #12V5068 and Studio Sub 18’s with serial #18V5041 and higher feature a 60/95Hz low pass switch instead of the 8/20Hz LF cutoff switch. The newer subs all go down to 8Hz. All other components and features are identical.